New Relic is launching a new analytics component for its application and server monitoring suite today that allows developers to drill even deeper into the data their code (and users) generate. The New Relic Software Analytics Cloud is now available to all paying New Relic customers. New Relic’s VP of product management Patrick Lightbody told me the team realized that basic monitoring and application monitoring (which is what the company first became known for), wasn’t enough anymore. Classic monitoring and application performance monitoring, which often aggregates data and throws out a lot of information, can’t answer those questions. New Relic, however, has all of this data — it knows about every individual event and transaction that happens in the software. Indeed, as Lightbody told me, the company now parses over 2 million events per second and then stores this information in its bespoke database service. Having this data available means it’s now easier for developers and admins to diagnose errors, too. Given how much information the company aggregates, though, it’s no surprise that New Relic only stores eight days worth of event data. That should be enough to help diagnose most issues, but if users want more, they can always pay for a longer retention period. Just having all of this data isn’t useful, however, if it’s still hard to query it. To make it easier for its users to analyze all of this information, the New Relic team today also launched a new visual data exploration tool. 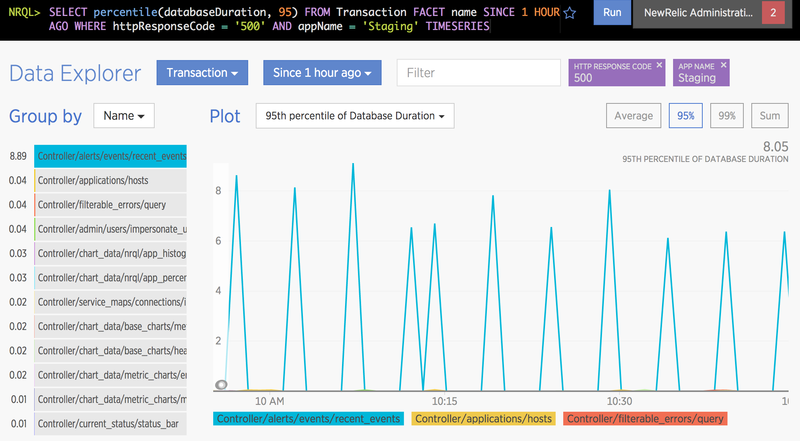 Instead of having to write queries in the New Relic Query Language, the new Data Explorer uses a point-and-click interface for building ad hoc queries. While Data Explorer gives users a lot of freedom, New Relic is also bringing some of this data back to its more opinionated products that only look at certain slices of the information (there is, after all, such a thing as too much information). 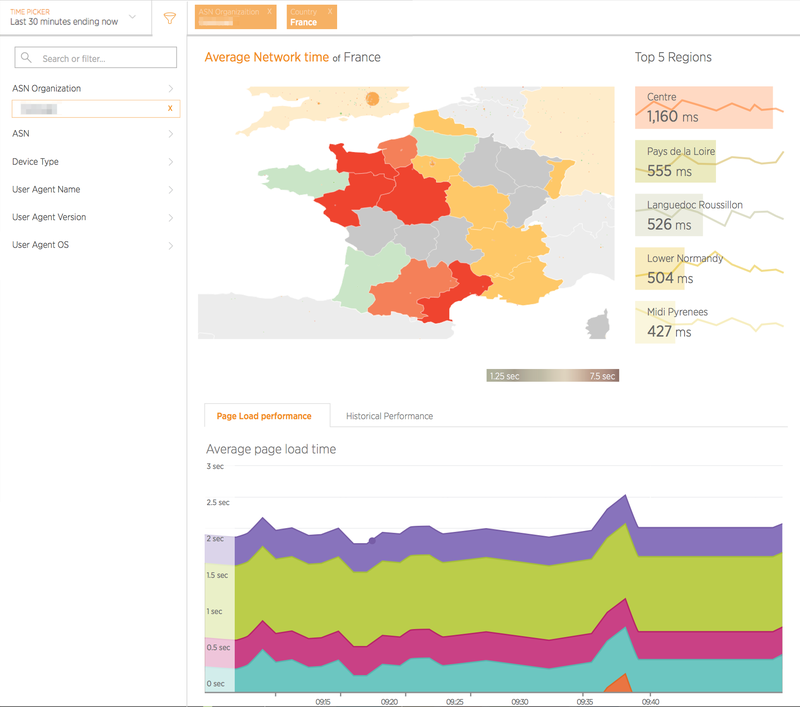 It’s launching Geo Analytics today, for example, which lets New Relic users understand how users in different geographic areas or on different networks are experiencing an app. As part of today’s release, the company is also launching a couple of new tools and enhancements for its existing services. New Relic now offers improved MongoDB support, for example, as well as a new alerts API, per-admin API keys, support for asynchronous frameworks and a few new tools for its Synthetics testing service.